A bouncy or unstable car can be caused by faulty struts, tie rod ends, or brakes. Test your car to avoid suspension damage and costly repairs. While driving your car, have you ever felt like you are riding a roller coaster but on a flat surface? Or have you found that your car starts bouncing like a wild stallion after hitting a pothole? A bouncy or unstable car can have any number of issues with the steering and suspension that may need to be properly diagnosed. Using the following methods, you can diagnose faulty struts, tie rod ends, brakes and other components that are related to common issues leading to a bouncy or unstable car. 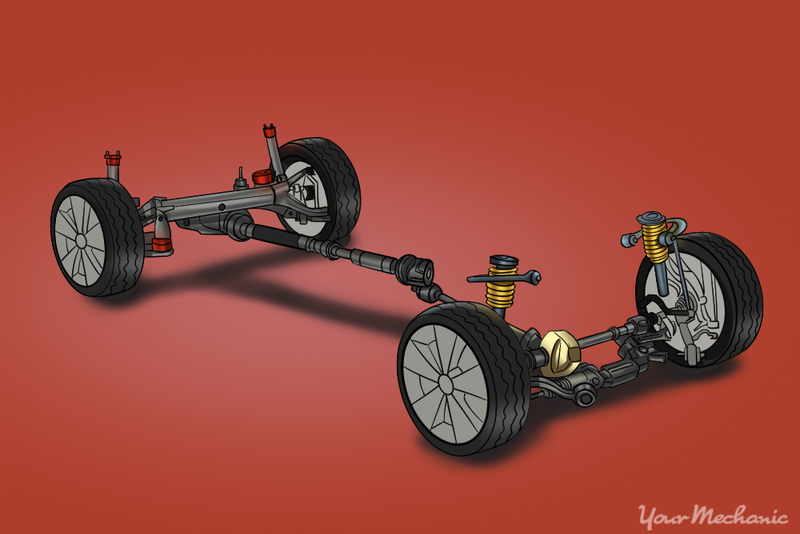 Step 1: Locate the front and rear suspension. Park your car and then find the location of its front and rear suspension. The struts assembly is located at the front and the shock absorbers at the rear of the vehicle, at each corner where the wheels are located. These play a major part in the stability of your vehicle. Step 2: Apply pressure to the sides of the car. Standing in front of your vehicle and apply pressure to the sides of the car, where the wheels are located. When you apply this pressure in a downward motion, there should be only minimal movement in your car. If you detect too much movement, it is a sign of weak struts/ shocks. You can start at the left or right side at the front of the vehicle and then proceed to do the same at the rear of the vehicle. Step 1: Check the movement of the steering wheel. Feel the movement of the steering wheel when you are driving. If you feel the steering wheel pulling towards either side when you drive at a particular speed, it is not normal unless the road has a slope towards any side. This kind of instability or pulling effect is more related to an issue with the steering components. All the steering components have pre-greased rods or rubber bushings that wear down or deteriorate over time and cause wandering steering wheels. Step 2: Check the tie rod. Check the tie rod. 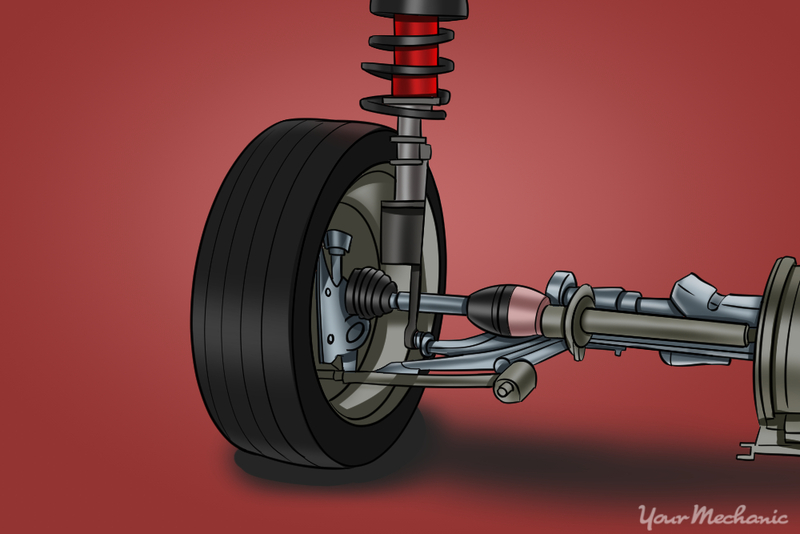 Tie rods have inner and outer assembly parts that are used when the car has proper alignment of the wheels. Step 3: Check the ball joints for wear. Check the ball joints. Most vehicles have an Upper and a Lower ball joint. Step 4: Check the control arms. Check the control arms which come in upper and lower assemblies. Step 5: Look for uneven tire wear. Most of the time, unless we have a flat tire, we really don't pay much attention to the way our car’s tires are getting worn out. If we look closely, they can say a lot about car issues that we can't see. A vehicle’s tires have a very important role when diagnosing instability issues. 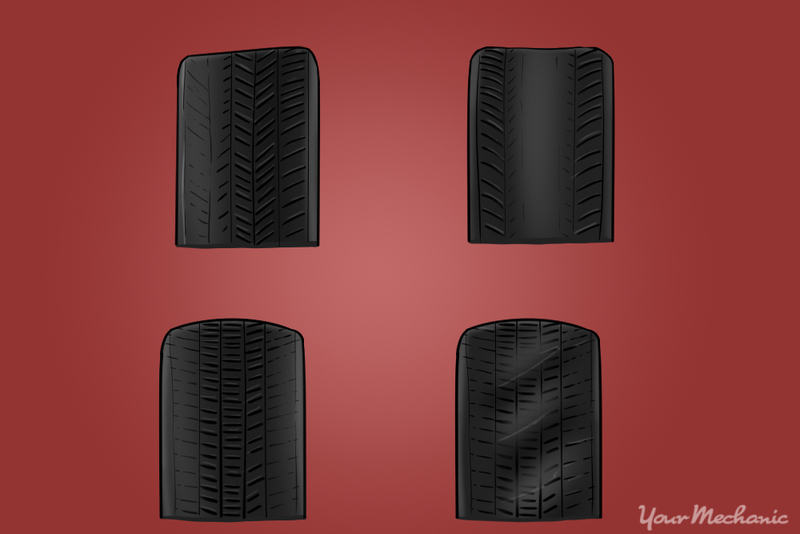 The wear pattern on your tires will give you an idea of the steering components that may need attention. Tip: Always remember to check the tire pressure and rotate your car’s tires to maintain proper stability. Step 1: Observe any symptoms at the brake pedal. When applying your brakes, you may feel a grab and release movement as you are reducing speed. This is a sign of warped rotors. The flat surface of the rotors becomes uneven and that does not let the brake pads grip properly, leading to ineffective braking. Step 2: Observe any symptoms at the steering wheel. While you are applying the brakes, you may find that the car starts shifting towards the right or left. This type of movement is also related to uneven/worn out brake pads. This may also reflect as a jittering/vibration on the steering wheel. Brakes are the most important safety components on a vehicle because we depend on them to come to a complete stop. Brakes get worn out easily because they are vehicular parts that are used constantly. You can perform a diagnosis of your car’s steering and suspension problems, right at your home. However, if you feel you cannot troubleshoot it yourself, get one of the professional technicians from YourMechanic to inspect your car and check the brakes and suspension.